Aces High! Spades, hearts, diamonds and clovers, 52 cards and so many rules. There are so many versions of poker; Texas Hold'em, Omaha, Seven Card Stud, Pineapple Open-face just to name a few. 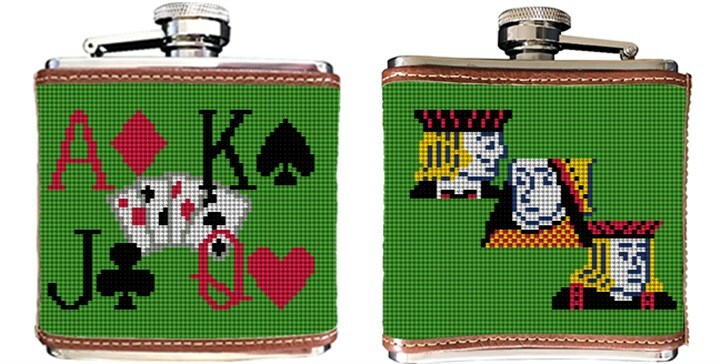 At the next game, no matter which version you like best, we know you'll be sure to enjoy using your new Poker needlepoint flask. You Win!